Rome is one of the best and ancient cities in the World. In this guide, you will find the inspiration about your the best photo spots in Rome. A Rome photography tour through the narrow streets of the Italian Capital, looking for your Instagrammable Rome. Rome is a big city but we will help you to find the best places to take photos in Rome. In the end, you will discover the best Rome photography locations. Story, art, and culture are your keywords for the Rome off the beaten path itinerary. Trevi fountain is the first stop in your photography in Rome tour. In this square you have to spend some time, take pictures and enjoy the art of the fountain. It is always plenty of people. 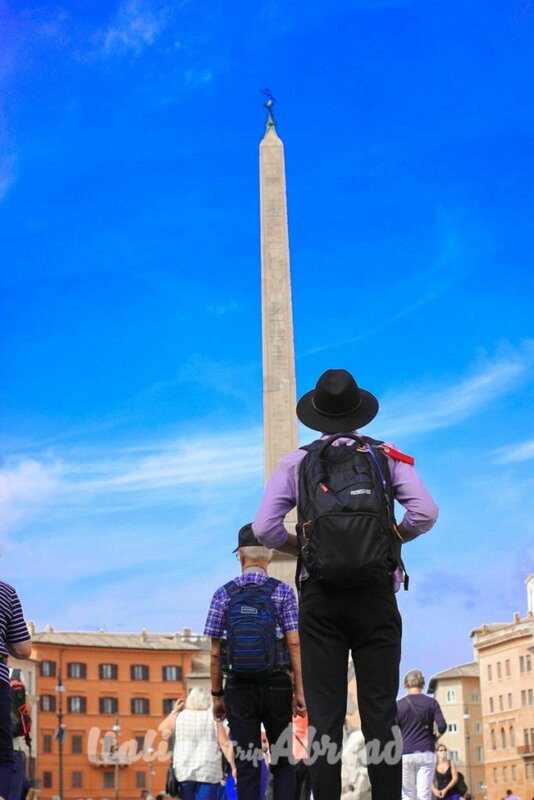 One of the most known monuments in the World is for us one of the best photo spots in Rome. 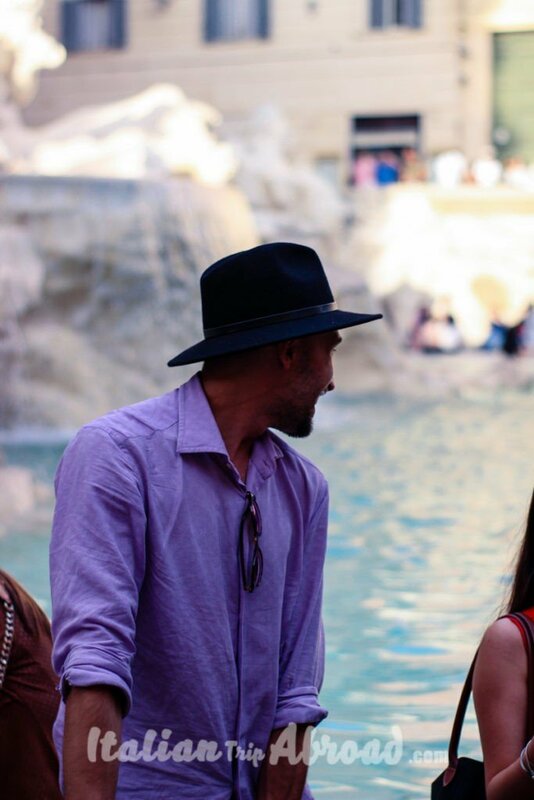 Once you will reach Trevi’s Fountain you will be surrounded by the most beautiful fountain in the World. From now on you will understand why we say that is one of the best photo spots in Rome. There is a legend behind The Trevi Fountain. If you make a wish, flipping a coin inside the fountain it will become true. The myth says that if you throw one coin, you will return to Rome. If you throw two coins, you will fall in love with an attractive Italian. Throwing three coins you will marry the person you met. How to flip the coin is the best aspect of this myth. Yes, you understood very well. It is not just throwing away a coin, that you will have good luck. You have to follow a strict procedure, it is a must do in Rome. The most important to achieve the desired effect is doing everything in the right order. You should throw the coin with your right-hand side over your left shoulder, crossing your body. 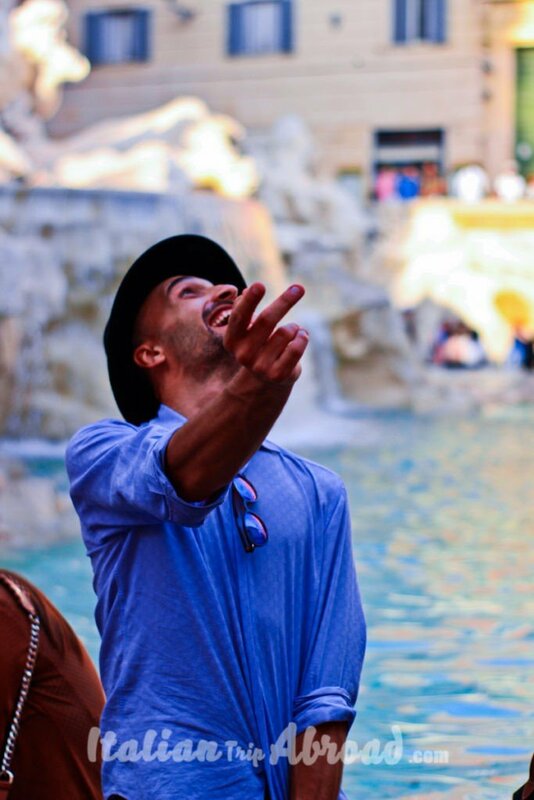 Tips: In the exact moment when you are flipping the coin into the water, is the perfect time to snap your first Rome Instagram Shot. The symbol of Rome is the Colosseum. It is well known by everyone as the main monument in the city. Rome is a very touristic city, so be ready to shot when there is no one. During the day is almost impossible to take a shot without tourists inside, you have to wake up really early in order to achieve this pretty shot of Rome. The Colosseum is easy to reach. There is the Metro station close by. The Metro Stop is Colosseo. The ticket for the train for just one way will cost you only 1.50 euro. There are also weekly and daily ticket, which is really worth if you are planning in advance your journey. Believe, the cost of public transport will pay back when you have to look at your photos. This is the best way to do your Rome photography locations tour. Top Tips: For an Instagrammable Rome photo the best time to shot around the Colosseum is during the sunrise. The landscape is just amazing and it will be just yourself, the camera and the Colosseo, posing only for you. This is the view from Via dei Fori Imperiali. That for history is one of the most important streets. Sometimes, especially in the weekend is traffic free. Walking through the Roman Forum is pretty special. We highly recommend walking through the forum during your visit to Rome, it really is incredible and so humbling to see how these structures were built with very little resources. 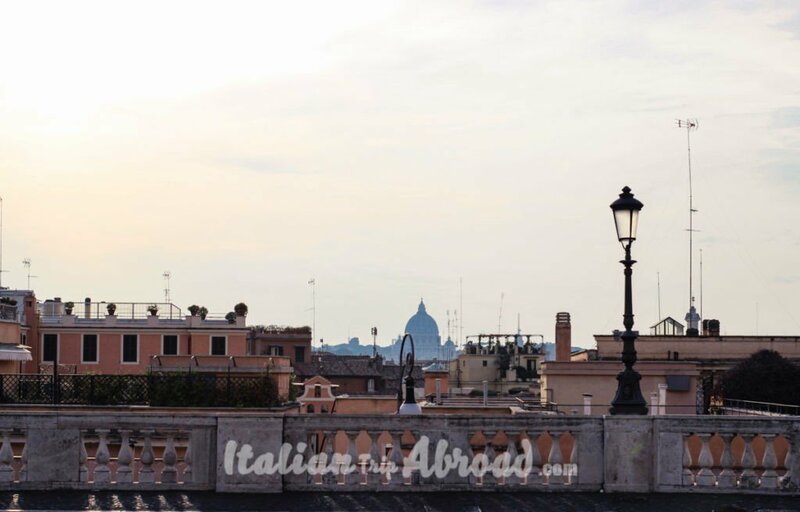 We found a secret photo spots Rome on the Via di San Pietro in Carcere street. You walk all the way down the street on some big stones. You will see stairs taking you up to another street, go up the stairs, there is a landing that is great for a photo of the forum. 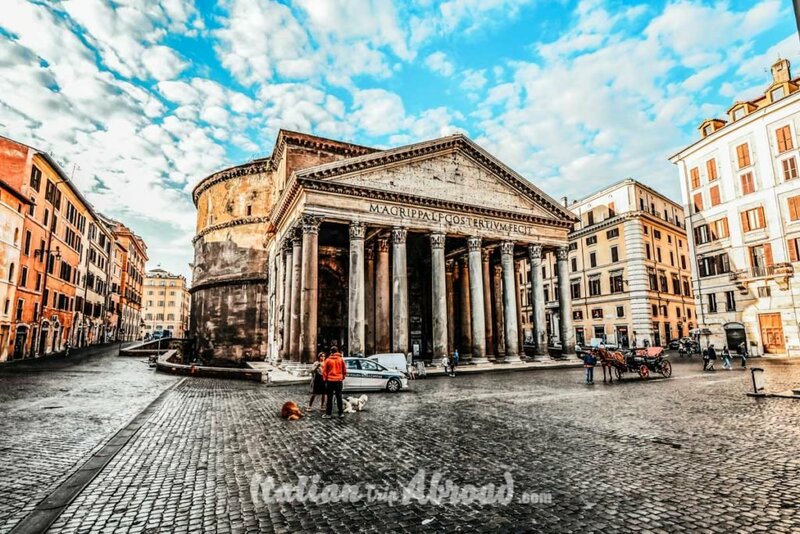 The Pantheon is obviously a must see during your visit to Rome. Like other places, it will get busy during peak time, especially when tons of tour groups arrive. This is one of the most important monuments of Rome, it’s a perfect spot if you are planning to take great pictures in Rome. 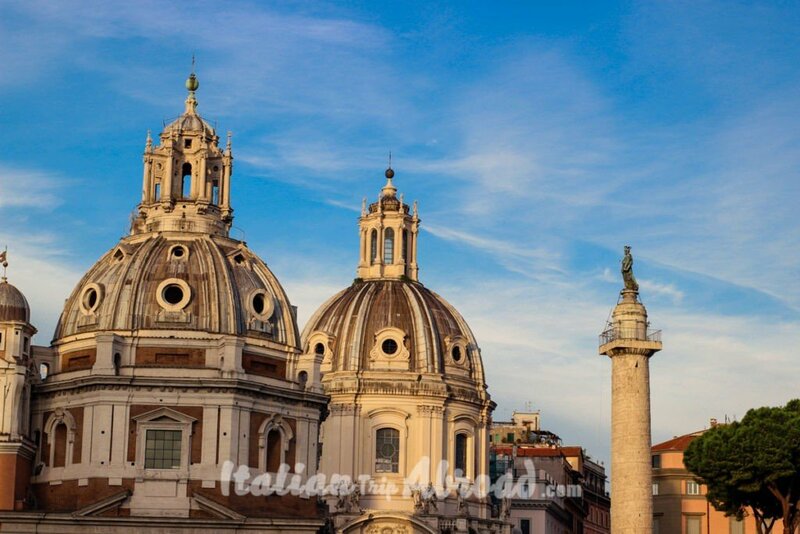 This famous monument is close to Piazza Navona, which is another famous piazza in Rome. 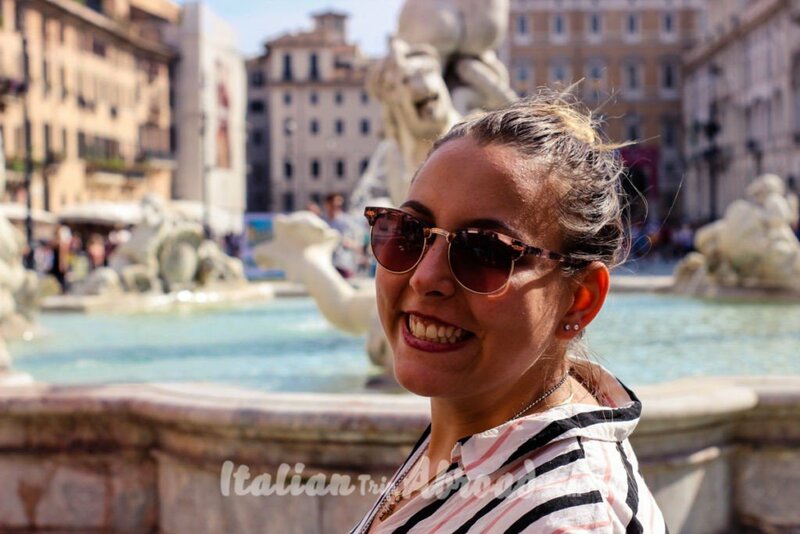 If you got enough time, you should pay a visit to Piazza Navona as it is one of the best places ever and it is perfect for your Rome itinerary tour. There are a lot of squares in Rome which you need to visit. 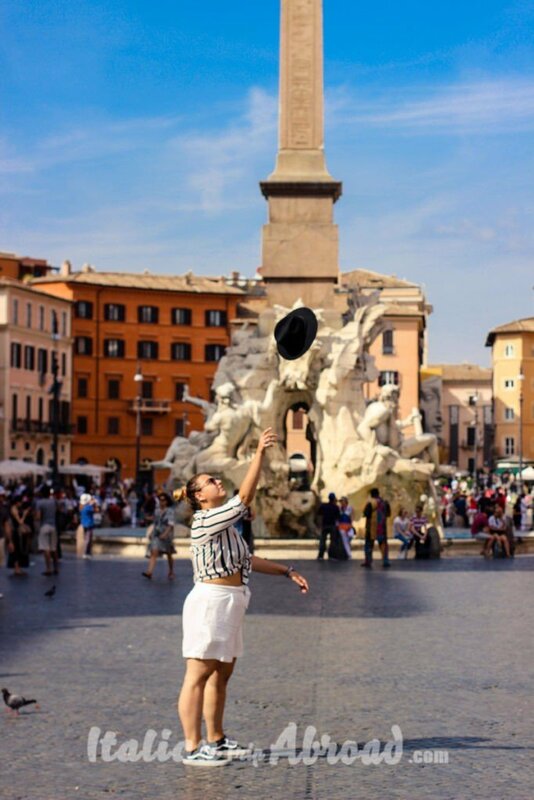 Piazza Navona is one of the best photo spots in Rome for your instagrammable Rome’s guide. This huge square is one of the largest and most beautiful piazza in Rome. With three impressive fountains, including la Fontana dei Quattro Fiumi with its large obelisk will take your breath. This is a masterpiece of Bernini, and there are more in Rome. Piazza Navona is close to Piazza di Spagna. The square known for the memorable fashion catwalk is just behind the corner. 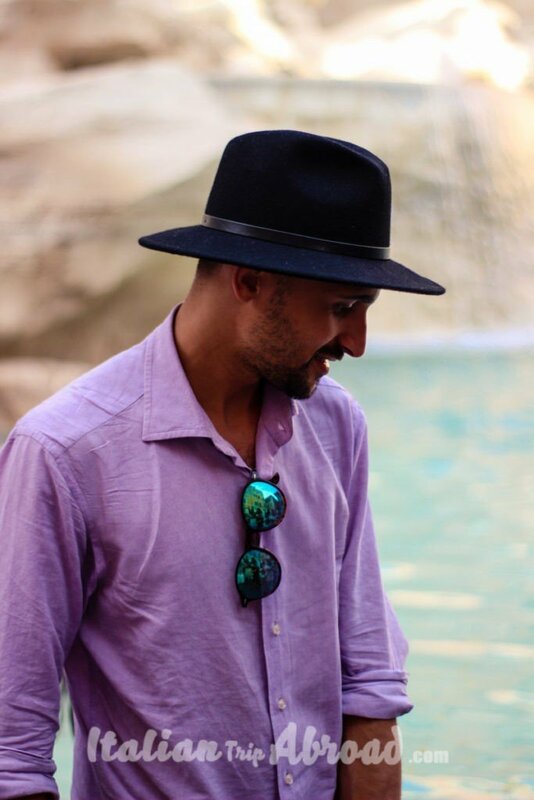 Are you ready to take the best photos of the Spanish steps? Tips: Due this is a large square, take your photography to another level. With a wide-angle lens, try to take all the square in your frame for the best composition. One of the best beautiful pictures of Rome Italy will be on the Spanish Step. At the sunrise, when the light is soft, you will have one of the best pictures of Rome. The Square, and not only, all the borough, will be really crowded. Be in the early morning is the best idea to take the best photos for your instagrammable Rome plan. Any square of this quarter is cute, this is one of the locations taking part in the list of Pretty Rome spots. Even if crowded, with tourist everywhere taking a break on the steps you will find a great photo spot. No pain, no gain. We are saying that too much, we know that. But, for your Rome photography locations be ready to wake up in the early morning to start your journey around this magical city and try to get the best photo spots in Rome. Talking about Rome, the big capital, you can’t miss one of the best places to take photos in Rome. It is the Vatican Museum. The Sistine Chapel, The St. Peter Basilica, The Vatican Museum and Garden and the magical Spiral Staircase, are few of the best things to visit in Vatican City. It is a small independent country, inside the city of Rome. It is also one of the smallest in the World, where the Pope resides and manage the Catholic church. We know everybody will tell you to shot the Sistine Chapel, but here we are talking about Instagrammable Rome. 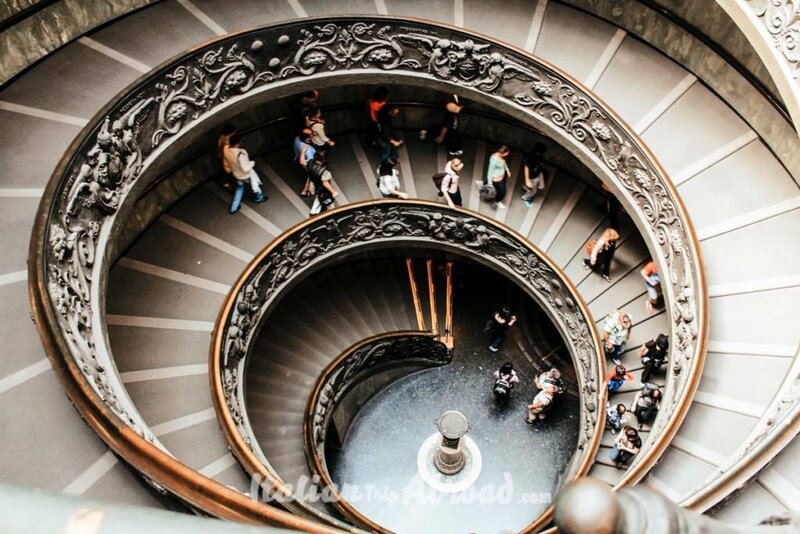 The best shot of Rome in Vatican city will be the Spiral Staircase. The Spiral Staircase is one of the most photographed things in the Vatican Museum. Vatican city is usually busy at all time, we went there in early morning to photograph the Vatican with the sunrise and I must say it was unbelievable, romantic, harmonic and full of emotions. If you don’t have time in the morning, after the sunset the main square start to be empty. You can pop in and take a shot in one of the top photo spots of Rome. 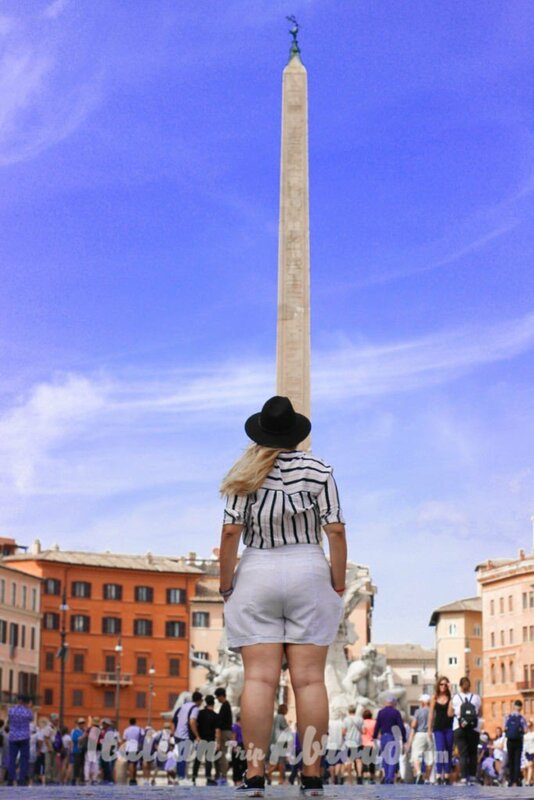 Top Tips: For take the best photo spots in Rome. You can go through the stairs but don’t do till the end as you will exit from the museum and there is no re-entry. After taking your most instagrammable pictures, come back to finish your visit. 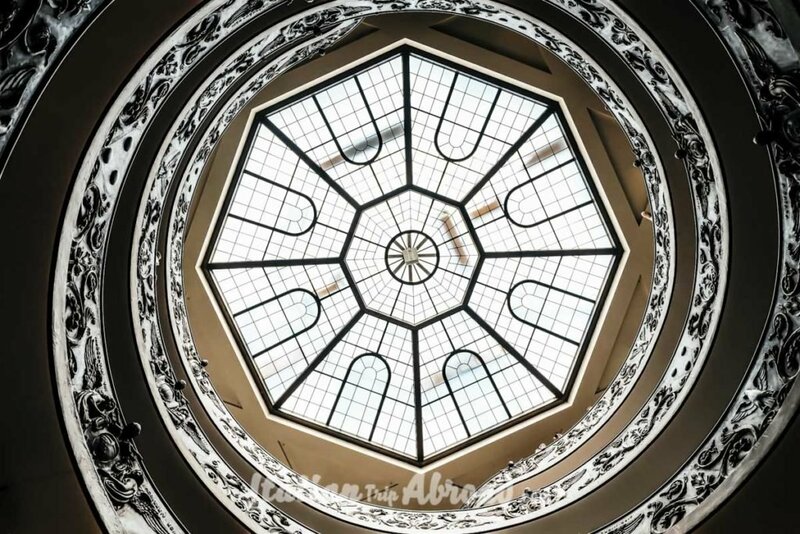 The Spiral staircase is one of the best things to photograph in the Vatican Museum. After your visit at this important museum you should go and explore Vatican city where you will find a lot of secret spots, nontouristic where to take the best pictures of the Vatican. 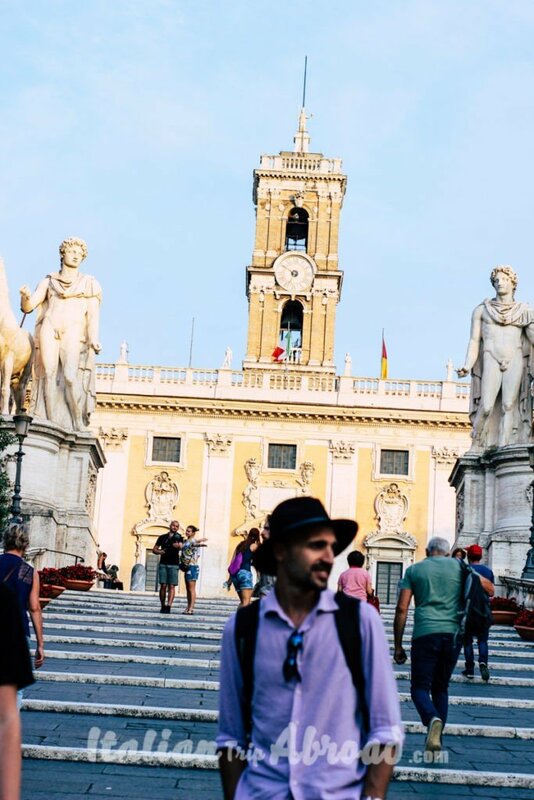 The most memorable view in Rome is from the Campidoglio and it is a stunning place at any time of day. You will find a nice spot for your Instagram feed, shooting up to the stairs. The castle itself is a stunning piece of the best beautiful architecture in Rome. If you want to get the best instagrammable shot, you must go across the river. Just on the other side, you can shot the beautiful bridge and the Angel statues across it. Castel Sant’Angelo is beautiful at any time of the day. But our personal suggestion is to pay a visit during the sunset. The colours of the sky around the castle are amazing and perfect for your Instagrammable Rome tour. 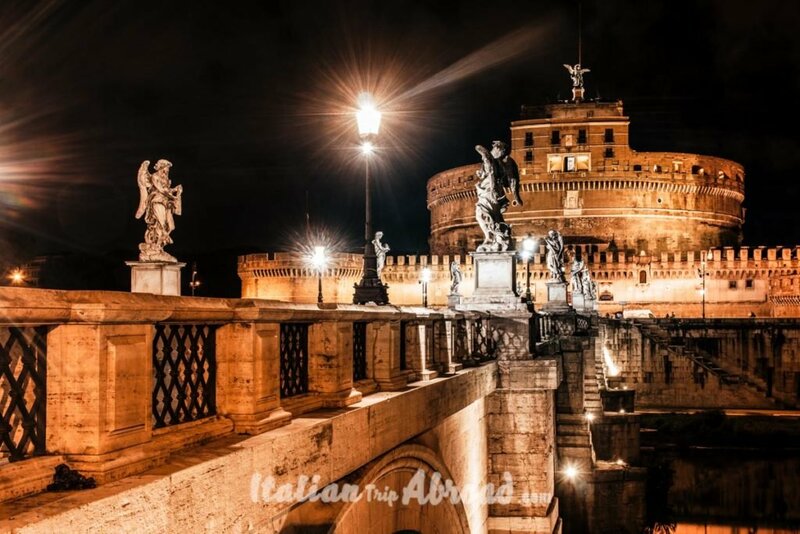 The Castel Sant Angelo is located on the banks of the Tiber River and it is really close to the Vatican. Trastevere is one of the suggestive areas of Rome. Passing by the riverside you will have an amazing view of the sightseeing of Rome. That make for us the difference and ready to be part of our list of Best photo spots in Rome. For some unique angles and secret spot take a walk along the Tiber banks. Head here in the early morning while the sun is rising up. Now you will have the opportunity to take the best photos in Rome. It is a hidden gem of Rome. Everybody talks about the “LungoTevere” here we go. Toti has lived here for long during the College, he knows very well this part of Rome. Usually, the Tiber is not a Rome attraction. That we are including it, do you want to miss the light of a sunset or of a sunrise hitting a bridge in Rome? Please, take it in your bucket list of photography spots in Rome. Everything will be magic. The Altar of the Fatherland is the monument which it was built in honour of Vittorio Emanuele II, The first King of a unified Italy. 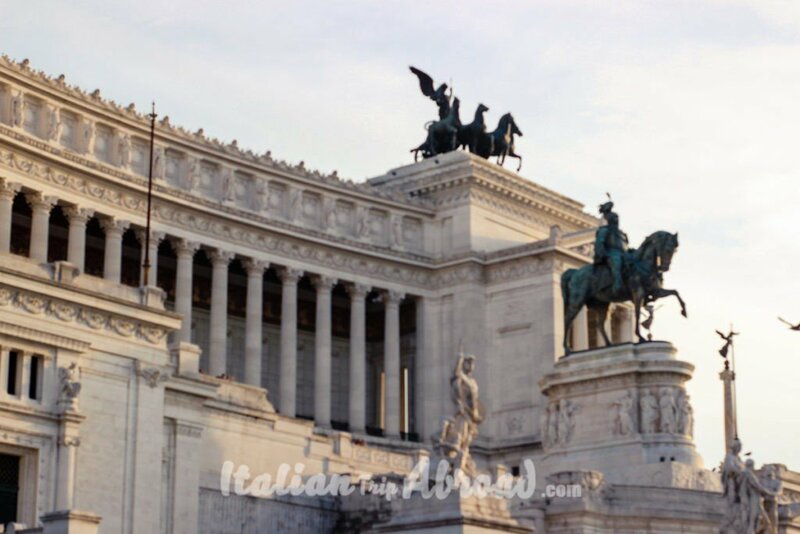 Altare della Patria is located by Piazza Venezia, close to Capitoline Hill and Roman Forums. It can be hard to get a good photo spot in this place, but the architecture of this monument is simply stunning. It deserves to be on the list of the best photo spots in Rome. Its unique and have a fascinating ancient history. Behind every corner and building of this city, you will find lies and secret, ready to be discovered. A city rich of legend to be told and history to be revealed, basically, it’s the perfect city to discover. Always ready to find new Instagrammable Rome Spots, if you find one, please give us a shout we are ready to include you in our post! Which are the top photo spots in Rome? Those are absolute our list of the Top photo spots in Rome. Six suggestion where to take your photography to another level, working and playing on the composition of your shot. Photographing Rome you will understand really well the rule of the third and the big play the composition have on your whole photoshoot in Rome. 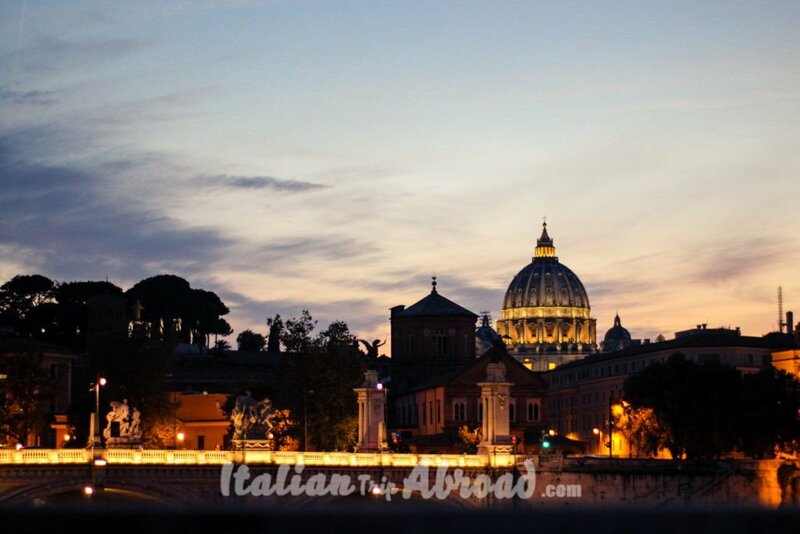 What are the best secret things to do in Rome that only locals know? Rome is huge, as we have said before already. This make a difference, that there are many places where see Rome through local eyes. We have spotted some for you, but there are many more. Take your camera around the city and improve catch the Rome Street Photography scene. What are the best photo locations in Rome Italy ? The best photo spots in Rome are not always the same of the best photo locations in Rome, Italy. Those are places that you will take a landscape photos of Rome. Rome is one of the best places in Italy to get married, and those will be a list of place for every photographer that is going to photographing Rome.